Liam, Liam, Liam. He sure does know how to make us work hard to capture him on camera. I guess we're all to blame for his dislike of the camera. After all, he was greeted by flashing lights and camera clicks before he fully emerged into this world. Since then, he has accumulated over one thousand pictures. Just check my phone (and the lack of storage on it). Thank goodness big brother Kaden is always willing to help out. He, too, did not want to pose for pictures, but he knows that it's easier to get it over with so that Mom will stop bugging him. He must have lost about five pounds holding down, pulling back and chasing Liam. All I wanted was a simple shot to put on Christmas photo cards. Let's just say – it did not go so well. Every year, I get this big idea to send out Christmas cards to family and friends. Each time, I fail at doing so. 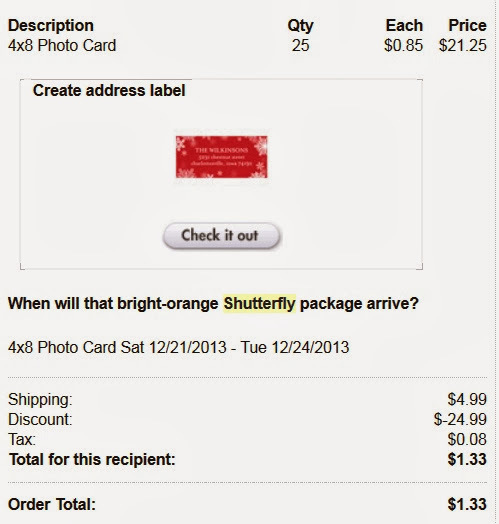 I really only decided to take these pictures because I had several codes from Shutterfly.com to redeem for free photo cards. I did not want them to expire, so I just went for it. There were a few shots that did turn out great. I figured I would take whatever I could get because Liam is so unpredictable. While the pictures I captured were all priceless, I'd say the cost of the photo cards was an easy second runner-up. Do you send out holiday and Christmas cards during this time of year?